It seriously undermines our efforts to have an effective campaign against terrorism. President Hamid Karzai, April 26, 2008. People hoped the US would come and release them from the violence of the Taliban but all the US does is attack us... The US only blames the Taliban, but the US has the technology. They should hit specific centers of the Taliban, not civilians. Afghan farmer speaking to Human Rights Watch, July 25, 2007. In the past three years, the armed conflict in Afghanistan has intensified, with daily fighting between the Taliban and other anti-government insurgents against Afghan government forces and its international military supporters. The US, which operates in Afghanistan through its counter-insurgency forces in Operation Enduring Freedom (OEF) and as part of the NATO-led International Security Assistance Force (ISAF), has increasingly relied on airpower in counter-insurgency and counter-terrorism operations. The combination of light ground forces and overwhelming airpower has become the dominant doctrine of war for the US in Afghanistan. The result has been large numbers of civilian casualties, controversy over the continued use of airpower in Afghanistan, and intense criticism of US and NATO forces by Afghan political leaders and the general public. These figures do not include the airstrike on August 22, 2008 in the village of Azizabad, where many civilians were killed in airstrikes in support of an OEF operation. Although the total number of dead was disputed at the time of writing, the political fallout was significant. The Afghan government ordered its ministries of foreign affairs and defense to review the presence of foreign troops and regulate their presence with a status of forces agreement, negotiate a possible end to airstrikes on civilian targets, uncoordinated house searches, and illegal detention of Afghan civilians. The harm caused by airstrikes is not limited to the immediate civilian casualties. Airstrikes have caused significant destruction of civilian property, and have also forced civilians to flee and vacate villages, adding to the internally displaced population of Afghanistan. In every case investigated by Human Rights Watch where airstrikes hit villages, many civilians left the village because of damage to their homes but also because of fear of further strikes. People from neighboring villages also sometimes fled in fear of future strikes on their villages. They have also had significant political impact, outraging public opinion in Afghanistan and undermining public confidence in both the Afghan government and its international backers. Broadly speaking, airstrikes are used in two different circumstances: planned strikes against predetermined targets, and unplanned opportunity strikes in support of ground troops that have made contact with enemy forces (in military jargon, Troops in Contact or TIC). In our investigation, we found that civilian casualties rarely occur during planned airstrikes on suspected Taliban targets (one in each of 2006 and 2007). High civilian loss of life during airstrikes has almost always occurred during the fluid, rapid-response strikes, often carried out in support of ground troops after they came under insurgent attack. Such unplanned strikes included situations where US special forces unitsnormally small numbers of lightly armed personnelcame under insurgent attack; in US/NATO attacks in pursuit of insurgent forces that had retreated to populated villages; and in air attacks where US anticipatory self-defense rules of engagement applied. The majority of cases examined in this report involved OEF rather than NATO-led ISAF missions. 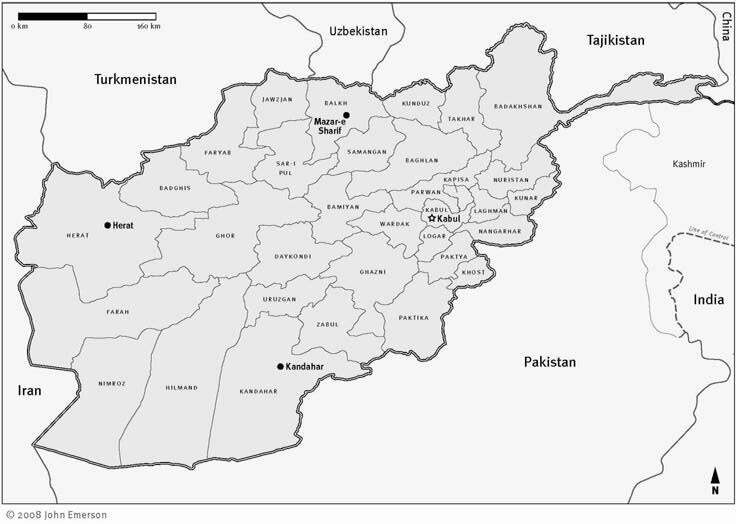 Human Rights Watch believes that the higher number of cases involving civilian casualties during airstrikes can be attributed to OEF because OEF is most active in Afghanistans south and southeast, where the insurgency is strongest, because OEF is heavily reliant on operations led by special forces, and because OEF is governed by a different operational mandate and rules of engagement than ISAF. The armed conflict in Afghanistan is governed by international humanitarian law (the laws of war). The applicable law on the conduct of hostilities can be found in Protocol I to the Geneva Conventions, which is largely accepted by the United States and NATO states as reflective of customary international law. The Taliban and other insurgent forces are also bound by the laws of war. The laws of war on the conduct of hostilities require warring parties to take all feasible precautions to minimize harm to civilians. They prohibit deliberate and indiscriminate attacks against civilians, and attacks in which the harm to civilians is disproportionate to the expected military gain. The cases described here raise concerns as to whether the attacking forces acted in accordance with their obligation under the laws of war to exercise constant care to spare the civilian population and take all feasible precautions to minimize loss of civilian life. This obligation requires that combatants do everything feasible to verify that targets are military objectives, and not civilians; that the means and methods of warfare are chosen to minimize civilian loss; and that the expected civilian loss is not excessive in relation to the concrete and direct military advantage expected. Attacks that do not meet these requirements must be cancelled or suspended. At the same time, Taliban and other insurgent forces continue to be responsible for more civilian casualties than US and NATO forces. In 2006, a minimum of 929 Afghan civilians were killed in fighting related to the armed conflict. Of those, at least 699 died during attacks by the various insurgent forces (including suicide bombings and other bombings targeting civilians). In 2007, a minimum of 1,633 Afghan civilians were killed in fighting related to the armed conflict. Of those, at least 950 died during attacks by the various insurgent forces. In the first seven months of 2008, a minimum of 540 Afghan civilians were killed in fighting related to the armed conflict. Of those, at least 367 died during attacks by the various insurgent forces. In our April 2007 report, The Human Cost: The Consequences of Insurgent Attacks in Afghanistan, we documented unlawful indiscriminate attacks against civilians by Taliban and other insurgent forces in Afghanistan. While Taliban abuses are not the main focus here, this report documents how insurgent forces have contributed to the civilian toll from airstrikes by deploying their forces in populated villages, at times with the specific intent to shield their forces from counterattack, a serious violation of the laws of war. Human Rights Watch found several instances where Taliban forces purposefully used civilians as shields to deter US and NATO attacks. Serious violations of the laws of war by one side, such as the use of human shields and indiscriminate attacks (including suicide bombings) against civilians by the Taliban, do not absolve the other side from its obligation to refrain from unlawful acts, including its obligation to take all feasible precautions to protect civilians. Time and again, the US has blamed civilian deaths on the tactics pursued by the insurgents. While this is certainly true in some cases, several of which are documented below, it is often only part of the story. Avoiding civilian deaths is not merely a matter of complying with international humanitarian law, which requires taking all feasible steps to minimize civilian casualties, but is also important in maintaining the support of the local population. Taking additional tactical measures to reduce civilian deaths may at times put combatants at greater riskat least in the immediate situation. Over the course of an armed conflict, particularly against an insurgency, obtaining the support of the civilian population, which is determined by factors beyond simple adherence to the laws of war, is crucial. The fact that civilians die or are injured in an airstrike does not necessarily mean the airstrike violated the laws of war, as long as the precautions required by the laws of war were taken and applied in good faith. Beyond the human tragedy, high civilian casualtiesregardless of whether they were the result of lawful or unlawful conductshould always be cause for concern by a military force, as the damage to an armed forces reputation and good-will among the population can be considerable. This is particularly true in a country such as Afghanistan where loyalties are often malleable. Beyond violations of international humanitarian law, the political cost of each bombing that goes awry is high. In one district, a senior British commander asked US Special Operations Forces to leave his district due to the mounting civilian casualties caused when the US repeatedly called in airstrikes to rescue small numbers of special forces during firefights with insurgent forces. Each civilian death for which US or NATO forces are perceived to be responsible increases hostility to the US and NATO forces, and may increase support for anti-government forces. The Afghan government has long realized this, and if the United States and NATO consider the strategic fight for popular support to be essential, then they need to recognize this as well. So long as the fighting in Afghanistan continues, reducing the loss of civilian life during airstrikes should remain a priority for US and NATO forces. To respond to public concern and complaints from President Karzai, in July 2007, the US and NATO announced several changes in tactics. These changes included employing smaller munitions, delaying attacks where civilians might be harmed, and turning over house-to-house searches to the Afghan National Army. Review of available evidence suggests that the changes may have had some impact: as detailed below, there was a significant drop in civilian casualties due to airstrikes in the last half of 2007, even as the overall tonnage of bombs increased. Forty-nine civilians died in the final five months of 2007 after the changes were implemented, a much lower rate than earlier in the year. However, alarmingly, civilian deaths are once again climbing, with 119 civilians killed in airstrikes in the first seven months of 2008, as already noted above. Continued civilian casualties show that unacceptable dangers to the civilian population from airstrikes remain, particularly as the number of airstrikes is rapidly increasing. While airstrikes typically drop in number during the winter due to decreased fighting, this was not the case during the winter of 2007-2008. December 2007 saw twice the number of airstrikes as July 2007. There has been a massive and unprecedented surge in the use of airpower in Afghanistan in 2008. In response to increased insurgent activity, twice as many tons of bombs were dropped in 2007 than in 2006. In 2008, the pace has increased: in the months of June and July alone the US dropped approximately as much as it did in all of 2006. Without improvements in planning, intelligence, targeting, and identifying civilian populations, the massive use of airpower in Afghanistan will continue to lead to unacceptably high civilian casualties. Ensure air attacks comply with the obligation to take all feasible precautions to minimize harm to the civilian population. Adopt measures to reduce the likelihood of civilian casualties in Troops in Contact (TIC) situations. Airstrikes should not be carried out without an adequate collateral damage estimate (CDE); trained Joint Terminal Air Controllers (JTACs) should be involved in all TIC airstrikes; and there should be no strikes in densely populated areas unless the intelligence is highly reliable and the target has been visually identified. Carry out a thorough investigation of the collateral damage and battle damage assessment processes to determine how they can be improved to reduce civilian casualties, and implement appropriate changes. Use precision-guided low-collateral-damage munitions whenever possible, especially on military targets in populated areas. Adopt Rules of Engagement (ROE) that are consistent to ensure that differences in ROE do not result in unnecessary civilian casualties. Provide accurate information on civilian casualties in military operations. Accept responsibility for civilian deaths and injuries as soon as possible, and refrain from denying responsibility for civilian loss until an after-battle investigation has been conducted. Create an officer-level position or office charged with monitoring, investigating, compensating, and publicly reporting on all incidents of civilian casualties that works directly with the Afghan government to ensure accurate accountability. Provide timely and adequate compensation to victims of airstrikes. Human Rights Watch urges the Taliban and other anti-government forces to cease all tactics that place civilians at unnecessary risk, such as the use of civilians as shields and feigning civilian status to gain military advantage during attacks. Such forces should publicly reaffirm their commitment to abide by the laws of war, including prohibitions against targeting civilians, using indiscriminate and disproportionate attacks, and attacking with the primary intent to cause terror among civilians. This report is based on field-research in Afghanistan, interviews with US, NATO, and Afghan officials, and the creation of a detailed database of every reported airstrike in Afghanistan between November 2005 and July 2008. To quantify civilian deaths we have used various sources, including the Afghan NGO Security Office (ANSO), United Nations Assistance Mission in Afghanistan (UNAMA), the Afghan Independent Human Rights Commission, various media outlets, and hospitals where available. Our casualty numbers for 2008, however, rely primarily on ANSO and press reports as the other organizations in Afghanistan had not completed relevant investigations at the time this report was finalized, in part because most of the deaths were in June and July and security concerns have limited their ability to collect information. Airstrike datainformation on bombs droppedis based on daily summaries published by US Central Command Air Forces.1 The figures we use are conservative estimates based on the daily summaries, which are often vaguely worded. We therefore always take the minimum number for all aerial munitions employed. While our numbers are cautious, they nevertheless allow for trend analysis.2 The actual number of bombs dropped is also likely higher than presented here because our numbers are based only on reported airstrikes and some airstrikes are likely missed in the reporting. This research was conducted with two objectives: (1) to identify and investigate potential violations of international humanitarian law by the parties to the conflict, and (2) to identify patterns of combat by those parties that may have caused civilian casualties and suffering that could have been avoided if additional precautions had been taken. We have sought to understand how and why civilians were killed or injured with a view to lessening the impact of war on civilians in the future. Human Rights Watch has conducted several battle damage assessment (BDA) missions in the past to investigate the conduct of war and civilian casualties, including in Yugoslavia in 1999, Afghanistan in 2002, Iraq in 2003, and Lebanon in 2006. While the military conducts such assessments to determine the military success of an operation, Human Rights Watch reviews the same incidents from a humanitarian law perspective. 1 The data covers only missions flown by fixed-wing aircraft. 2 When Human Rights Watch showed our numbers to various US and NATO officers in Afghanistan directly involved in planning airstrikes we were told our numbers were the best they had seen outside of classified channels.